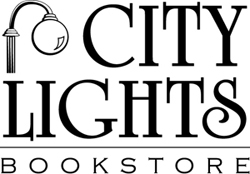 Poets Beth Copeland and Tina Barr will read poems at City Lights Bookstore on Saturday, October 13th at 3 p.m. Beth serves as the Gilbert-Chappell Distinguished Poet for Central North Carolina and teach creative writing at St. Andrews University. Her poetry has appeared in numerous journals and anthologies. She has written three full-length collections of poetry. Tina Barr has six volumes of poetry and her work has appeared in American Book Review, Alaska Quarterly Review, Atlanta Review, The Chattahoochee Review, The Crab Orchard Review, Kestrel, The Pisgah Review, Tar River Poetry, and Zone 3. Barr teaches in the Great Smokies Creative Writing Program out of University of North Carolina at Asheville. For more information please call City Lights Bookstore in Sylva, NC at 828-586-9499.